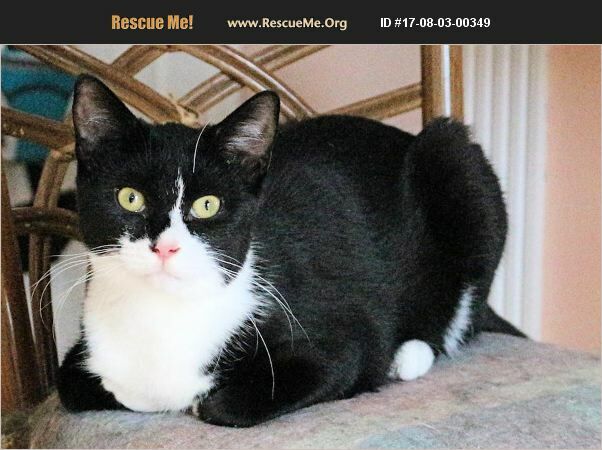 Pattycake, DSH Black and white tuxedo spayed female, vaccines Current DOB 3/10/17 SPECIAL NEEDS�'�|Patty Cake is a very clumsy girl. She misses jumps and her legs slide when she runs to fast. We haven't spent the money it would take for a diagnosis, but she's probably a CH kitten. Not bad, just a small touch. She's ever such a charmer and loves so much and so hard. She needs a home where someone would like to receive the kind of love she has to give. Patty Cake is playful and sweet and only wants to be loved. Patty Cake would love to have her very own lap to sit on and someone to cuddle up to. She is very loving as most kittens who were bottle fed from birth are. Since she's sponsored by Partners for Cats, there is no adoption fee for Patty Cake. Contact Jean at 828-437-8769 to inquire about taking Patty Cake into your home. She currently resides in the South Mountain area south of Morganton NC.